You are here: Home / Child Alters / A Real Unicorn?!! Really? This article is written for the child parts of the DID survivors that read this blog. Hey Kids, did you see the news yesterday? Hmmmm…. probably not, because most kids don’t watch the news. And because of that, I wanted to make sure to let you know about something I saw in the news that might interest you. Look! Look! They found something that looks like a real unicorn!! Is it a real unicorn? Whatever it is, it is very cool!!! Do you ever think about unicorns? Do you have coloring books with unicorns in them? What would you do if you saw a real unicorn? And if you don’t like unicorns, what is your favorite animal? Now I realize this little deer only looks like a unicorn, but so many kid parts talk about like unicorns that I just had to share it for everyone to see. And for the older parts of the dissociative systems, it really is okay to let your child parts experience some of the positive wonders of the world. It is okay to let your child parts play, and to let them enjoy experiences. Simple pleasures like chocolate shakes, or yo-yo’s, or puzzle games, or teddy bears, or soccer balls can go a long ways in connecting with your child parts. 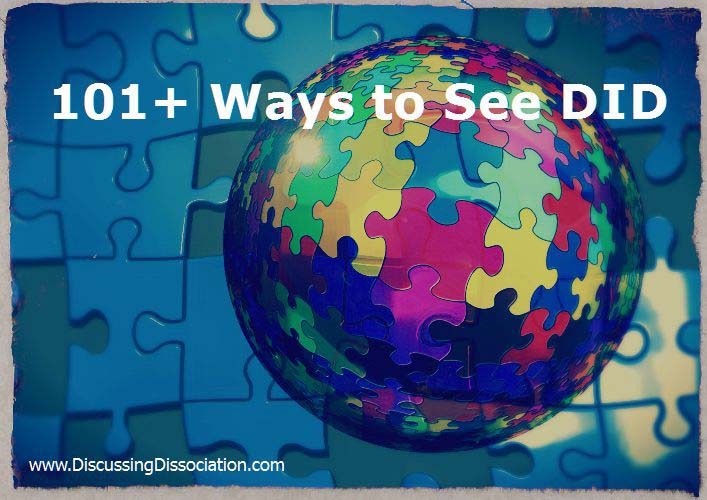 If you have Dissociative Identity Disorder (DID / MPD), your childhood was most likely interrupted by too much pain, grief, loss, trauma, betrayal, neglect, and hurt. As a child, your play times would have been few and far between, and you would have often felt too sad or hurt to play. Dissociative skills, dissociative walls, and dissociative amnesia could have separated some of the effects of the trauma from your awareness, but in all the years I have been working with multiples, I have never yet had any dissociative survivor tell me that she or he had lots ‘n lots ‘n lots of fun and play times as a child. This is a very sad statement because having carefree playtime is a normal childhood need. It is actually important to proper growth and development. To miss out on playtime as a child means to have unmet needs. To help meet some of those unmet needs, it is ok, and even therapeutically important to let your child parts have fun. Let them play. Let them enjoy some carefree activities. Let them learn how to have good times. Even if you are an adult, it is not too late to let your kids have fun. Play is a normal part of growing up, and if this was stolen from you, letting your child parts play in the current day will help with your overall healing and sense of well being. Giving your child parts the chance to play in the here and now is a corrective emotional experience for them. Corrective emotional experiences are experiences in the current day that help to correct the wrongs and fill the voids that were left after a childhood full of trauma and neglect. Corrective emotional experiences allow for healing, growth, and positive movement. So go find a unicorn! Draw in your coloring books! Play, have fun, and enjoy life for awhile! Your whole system will feel better for it. You’re very welcome. 🙂 And it is cool, isn’t it?!!! What do you think it is? Kiya says it is a Ki Rin. We have a statue of one on her desk. Is it a real unicorn? yeah kiya says it is a type – from asia – that has been known for centruies. the statue we have is really purdy. 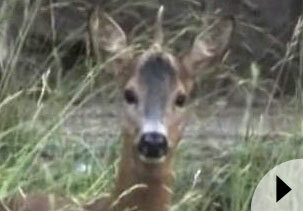 it is a bit different than the one in the pic; is some sort of deer, but with huge eyes, a slight mane that goes all the way down the back to the tail which is long and curly. it is mostly covered in hair, but the sides have dragon scales! then she has cloven hoves like a goat or deer. she has a golden horn that slopes back at first and then slightly curves forwared. The artist is Pena with a ~ over the n (we can’t do that on this puter). she is a ruddy brown and the dragon scales are opalescent white. Whatever it is, it is very cool!!! we been wanting to say It’s a Ki Rin!!! for ever since we saw it on the net. Do you ever think about unicorns? ALL THE TIME! Do you have coloring books with unicorns in them? yeah of course! and a real cool one too where uni’s are with different animals. my fave is the one where a uni is swimming with a narwhal!!! those are my fave whales. What would you do if you saw a real unicorn? 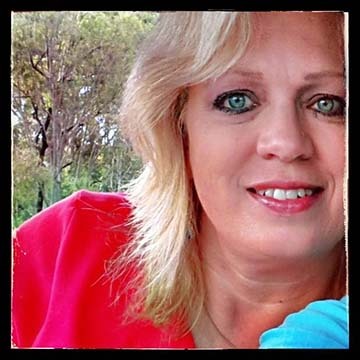 oh i would go right up to her – cautisously – they allow girls and women to come to them mostly – and i would walk wth her and want to know what she knows, and maybe… if she let me… if she offered…. ride! and wink out with her to wherever she goes! they’re powerful magic. to escape we read all the time, and day dreamed and when we played outside, we pretended to be unicorns and go running thru the forest (this was later when i had a friend cuz we lived in an apartmetnt and not in the middle of nowhere). earlier i had my little ponies and i played with the pegasi and uni’s. i always wanted the power to wink out and materialize somewhere else. Wiki says: Kyrin, is a mythical hooved Chinese chimerical creature known throughout various East Asian cultures, and is said to appear in conjunction with the arrival of a sage. It is a good omen that brings rui (Chinese: 瑞; pinyin: ruì; roughly translated as “serenity” or “prosperity”). The Kirin is a creature from Chinese mythology. It is described in books on folklore as having the body of a dear, the tail of an ox, and the hooves of a horse, with a single horn on it’s head, and a coat of five colors. our kids are petrified to play, they dont have a clue how, because we never were allowed, fear of getting it wrong stops them and us. we have lego, but it never gets played with, but its there when one day we are healed enough to open the lid and get some out. wow that iz reali kewl!! we not shur what that be but it preti neyt! we do lik unicorns an we has colering book that bigs get us wif unicorns in it! an gues wat? we gots a book a frend gots us abot unicorns too!! we lurvs it…it’s a unideer we decided..it looks like the deer on. it looks like the deer in that movie Open Season. he has one horn. having my wife’s insiders around means I get to “play” again. We do all kinds of fun things around the area and on vacation. I have had the pleasure of introducing them to the magic of childhood, and as I have done so, they have really blossomed. As I said in one of my posts, “play therapy” in my house means letting the insiders play lots each day. It’s definitely healing. I have the same problem. Play is so scary and so foreign! Maybe cause you have to let your guard down to play, or feel little, and you might be deceived or laughed or .. or worse….and to come “out” to play is really, really, really, scary. So embarrassed at my inability to play or joke around with people even now as an adult. I am a dud. I did have a fleeting second of co-consciousness with a little before and it blew my mind. She was all free and full of wonder and awe about everything and playing with a little watering can. Her feelings of joy were so so foreign to me. I don’t have those kinds of feelings. I started asking her questions and boom she and her good feelings were gone! Oh well, at least somebody somewhere inside can have fun. awwww i tooedk piturs ov our unicorns to shar wif u all cuz theyr preety an safe. but nowd i see that we no can put piturs up on heer. deres a purpur one wif gold hares and she is the kween. den there is a lil green blu one wif eyes dat open and klose an wite hares. her name is riben. an we have a key chane wif a soft wite one. and kiya has her statuews of a baby one wif gold horn and the ki rin she said ov avobe. That is so beautiful. Bean (my little who can’t really read or write) wants to say thank you she’s smiling and my body is just about to weep. I haven’t seen her this happy in… oh 7 or 8 years? me thinks we fraid of unicorn. no like it. We read about a frendly painted pony like the rainbo an me we lovd it! that minds me … i wanna color. but we not hav any crayons & she wont get them for us. why she be mean anyway? Our lil boy has crayons but there r rules. those are his. no not ours. We want da spockly pens anyway. we lov your stories. make more. Pweez. An thank you too. Is that unicorn for real? I thout unicorns look like horses.i didnt no they could look like deer. I had my own unicorn, she was real, painfully real. Someone I trusted and was safe with. My unicorn was a symbol for hope. She couldn’t fix me but maybe help me believe in something everyone said couldn’t ever be done…find some relief to be ok. She is over her head, overwhelmed and pushing me away. Recently I’ve lost my husband of 31 years. I am told by my therapist that it will be a long time to get over such a loss. We all grieve differently and we all had a different connection with him. I am trying to find information on the situation. Everything I find is very vague and mostly deals with loss of oneself and not a loved espouse.. I know I’m a rare breed because most did do not stay married or have long-term relationships, because we are complex people could you please give me your thoughts and suggestions on the stress that I’m having.